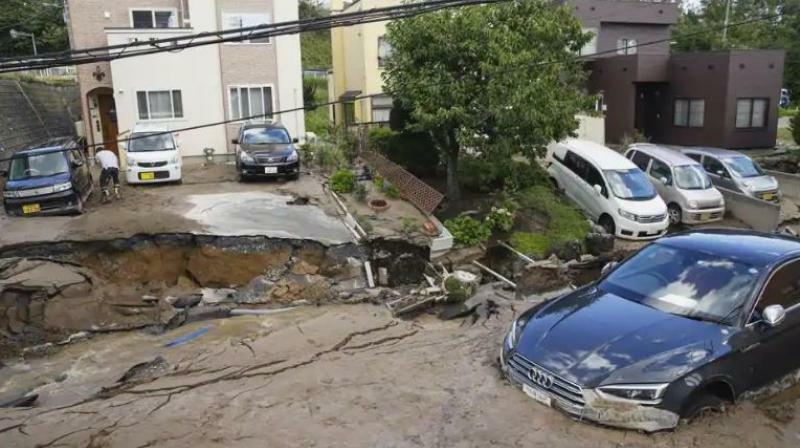 Tokyo: At least one person was killed and 32 were missing, Japanese media reported, after a powerful earthquake paralysed the northern island of Hokkaido on Thursday, triggering landslides and knocking out power to its 5.3 million residents. The quake, which hit at 3:08 am (1808 GMT Wednesday), posed no tsunami risk, the Japan Meteorological Agency said. The US Geological Survey said it struck some 68 km (42 miles) southeast of Sapporo, Hokkaido’s main city. Abe arrived at his office before 6 am and told reporters his government had set up a command centre to coordinate relief and rescue. Sounding haggard, Abe said saving lives was his government’s top priority. Japan is situated on the “Ring of Fire” arc of volcanoes and oceanic trenches that partly encircles the Pacific Basin and accounts for about 20 per cent of the world’s earthquakes of magnitude 6 or greater.